NHC GOLD MEDAL WINNING RECIPES: Respect Of My Elders. I love this woman. 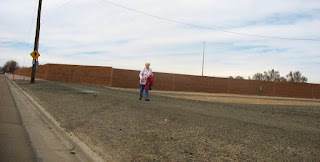 I first met her at the Pueblo Health Expo, where she told me that she walks almost everywhere in town! I've seen her on rainy days, sunny days, snowy days, and she's always walking. She's also probably about 70 years old. Contrast that with the 21 year old male that drives his car 3 blocks to the store, or the 25 year old student that drives from one side of campus to the other and we have ourselves the makings of a problem that isn't going to improve anytime soon.